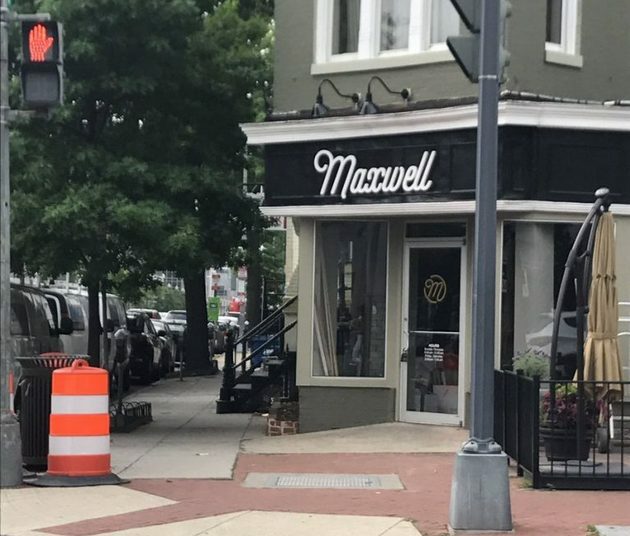 “Maxwell Park is a wine bar located in the heart of Washington DC’s historic Shaw neighborhood devoted to the adventurous imbiber. The brainchild of Sommelier Brent Kroll, Maxwell Park aims to deliver a one-two punch of refined fun + expert execution by way of a constant rotation of glasses, bottles, guest chefs, dishes, visiting somms, winemakers and more. The bar features 50 or so wines by the glass, about half of which rotate out according the month’s theme – and all of which are served at one of four optimal temps using a crazy high-tech refrigeration system. The bottle list stretches to 500 labels, far too many of which you’d be hard-pressed to find elsewhere. Additionally, Maxwell Park offers a small selection of housemade bottled cocktails and a handful of craft brews along with a short, but thoughtfully prepared menu of wine-friendly dishes. Open nightly at 5, so c’mon out and make Maxwell your go-to neighborhood playground for all things liquid fun + games. Anything But Pinot Grigio! Okay, first things first, we’re not knocking the boot’s ubiquitous white – there’s nothing at all wrong with a little pinot grigio from time to time. But since diversity is what makes the world go ’round, let’s kick this party off with a handful of Italy’s lesser known, yet altogether noble whites. Buon divertimento! Does my bubble look big to you? We’ll spend the month of August diving into the wildly wonderful world of bubbly, sparkling + effervescent non-champenoise method wines. We’ll have at least 4o on hand to sip, swirl and swig by the glass all month long, so brace yo’self and prepare to get bubbled up!